Zach Lehner joins Patrick in a very echo-y room to talk all about his brand new Oni Press graphic novel “Junior Brave of the Apocalypse Book 2: Out of the Woods.” This conversation gets deeper than either of them expected as they dig way beneath the surface of comic book creation and the importance of Calvin and Hobbes. Also, they play amateur detectives and explore their abandoned surroundings. 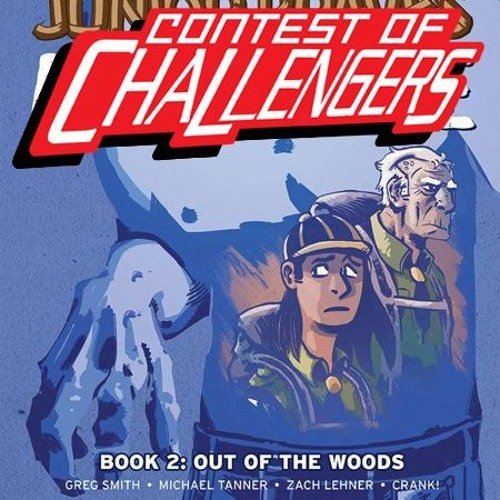 Zach is signing at Challengers all day on Wednesday, August 8th from 11am to 7pm (along with “Girls With Slingshots” creator Danielle Corsetto from 4pm -7pm, but she is not on this episode). Bonus! Dal pops in to talk briefly about the New Japan Pro Wrestling G1 Special!